Steven Johnson, business management expert and author of, Where Good Ideas Come From, and Everything Bad is Good for You, once said, “If you look at history, innovation doesn't come just from giving people incentives; it comes from creating environments where their ideas can connect.” Innovation software accomplishes exactly that; creating an environment where your employee’s ideas can connect. Doing so helps businesses advance five key objectives. For many businesses, the key to profitability is efficiency. When every activity that adds value to the customer is done with the least amount of waste in terms of cost, time, energy, and effort, profit margins are maximized and more customers can be served with the same resources. 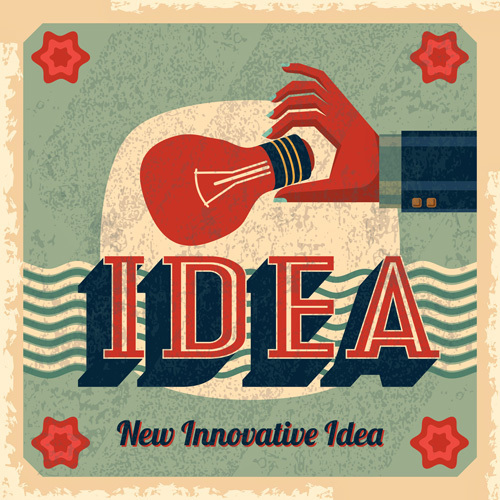 People often think of innovation as revolutionary, resulting in brand new products or technologies. But, innovation can also be evolutionary, transforming existing processes and products by eliminating waste and streamlining the value chain. Innovation software supports the identification and resolution of these opportunities for improvement. No business sets out to deliver subpar products to customers, yet it happens every day. It is often the case that front line employees are in a much better position to recognize problems that result in product defects than the residents of the C-suite. Companies that adopt innovation software create a culture that makes recognizing and reporting the causes of defects everyone’s job. The transparency around quality issues that arises opens the door to new and novel ways of safeguarding product quality. Your two best resources for understanding what makes your customers happy (or unhappy) are the customers themselves and the employees who work with them most frequently. For most companies, this means that your sales and customer service representatives, not just your R&D department, can be a critical source for innovation. Innovation software gives them the tools to share the causes and potential solutions for customer disappointments and frustration. Engaged employees expend more effort than what is needed to meet the minimum requirements of their jobs. They promote your company outside of work, they freely share ideas and volunteer for additional assignments. As with innovation, employee engagement does not come from incentives alone. It comes from a feeling of pride and ownership in the company’s success. Tools and technology that support employees who join in improvement and offer insight into how business process can be perfected, result in an energized workforce and business momentum. Perhaps the most important question you can answer about your business is, “What sets you apart?” Sometimes there is a clear product difference that no competitor can claim, but more often, it is small, important, and innovative ways of addressing a problem or delivering services that give customers a reason to choose you over all the other players. The challenge with differentiation is that it is a journey, not a destination. The competitive landscape changes, new challengers arise and old ones innovate. Input from employees at all levels of the organization is essential for maintaining your competitive advantage and standing out from the crowd. Steven Johnson also said, “Organizations that empower folks further down the chain, or try to get rid of the big hierarchal chains and allow decision making to happen on a more local level, end up being more adaptive and resilient because there are more minds involved in the problem.” Innovation software gets more minds involved in solving your organization’s problems, capturing opportunities to delight customers, and exasperateing competitors.